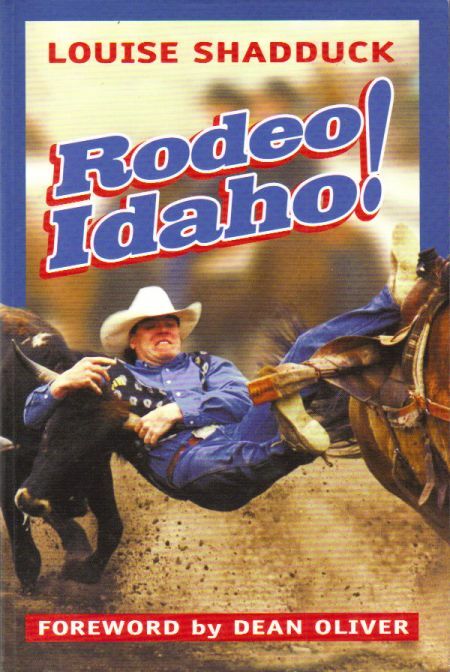 Description: The lives and legends of Idaho's rodeo past are chronicled in Rodeo Idaho from Idaho historian Louise Shadduck of Coeur d'Alene. She combed newspapers, films, magazines, letters, and books, then conducted more than 100 interviews in her search for the roots of rodeo in Idaho, her native state. Liberally illustrated with 150 photos. 2001 trade-sized 334 page paperback. Very good condition. Only defect is a small (under 1/4") stain on center of page ends. Clean, tight binding.